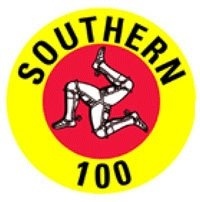 The 2017 Isle of Man Steam Packet Company Southern 100 International Road Races are once again to be rounds of two prestigious Road Race Championships organised by the Auto 66 Club. The Auto 66 Club which celebrated its Golden Jubilee in 2016 organise a number of national championships annually which have proved to be extremely popular with competitors and fans alike with events being held on short circuits as well as ‘pure’ road races. The first championship, the UK Road & Track Series, will include rounds at Oliver’s Mount, the Southern 100, Jurby, Armoy (Northern Ireland) and Croft. As last year, this championship will be open to Ultra Lightweight, Lightweight, Super Lightweight, Junior and Senior machines. Over £7000 is offered for this championship in prize money, plus trophies at the end of the season. The second championship is for Sidecars, the UK Super 2 Sidecar Masters, the winners receiving the coveted Ian Bell Trophy, with the following events counting towards the championship: Oliver’s Mount, Isle of Man TT, Southern 100, Croft, Jurby and Cadwell Park. Prize money at the moment stands at £1000 for first place, £500 for second place and £250 for third place. Full details of both these Championships will be available on the official Auto 66 Club website: http://www.auto66.com .